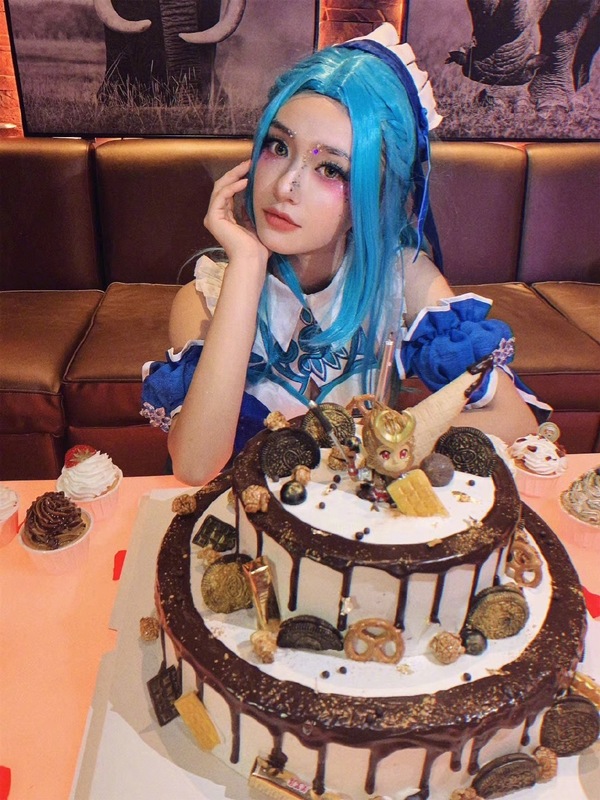 If Zhu Yilong spent his 31st birthday chilling with Li Yifeng, it looks Jelly Lin Yun who also celebrated her birthday on April 16 had other plans. 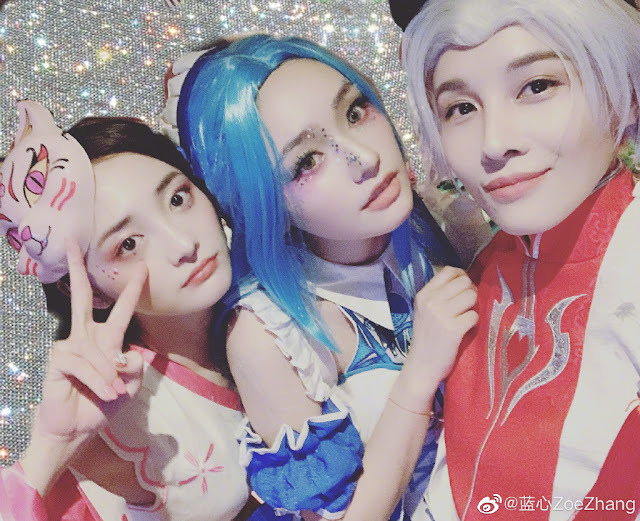 The young actress spent her 23rd bday in the company of Meng Jia, Vava, Zoe Zhang Lanxin, Pinky Zhou Jieqiong and more in a glitzy costume party. I'm clueless as to who they're all supposed to be, but I kind of love Lin Yun's glammed up look. The Mermaid star was immediately hailed among the top 20 of TC Candler's 100 most beautiful faces of 2016 when she first debuted and it's not hard to see why, she's very pretty! Having filmed 10 projects in the four years since she entered showbiz, Lin Yun has a long career ahead of her. She also comes full circle in her first ever starring role to return for Mermaid 2, which is expected to be released this summer. 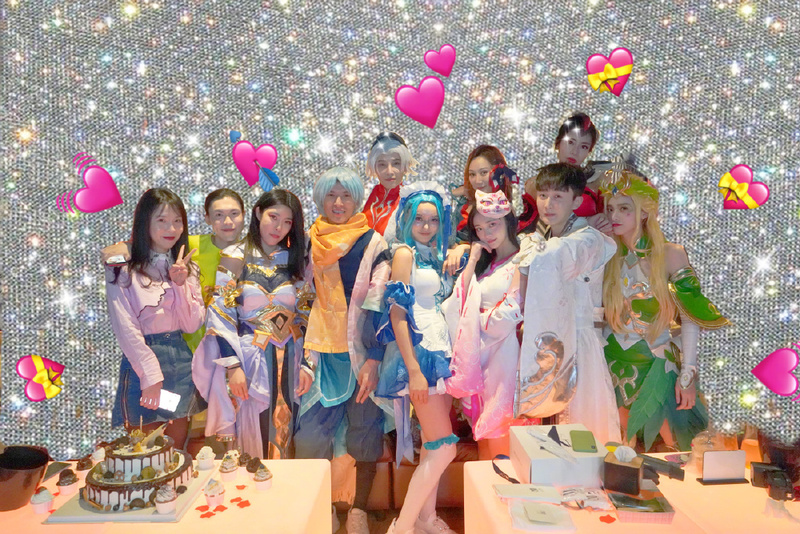 I am perplexed... who are they cosplaying as? !